John Mallia lives and works in Boston, where he is a member of the Composition Faculty, and directs the Electronic Music Studio, at the New England Conservatory of Music. His compositional process is informed by spatial constructs and concepts, and a fascination with presence, ritual, and the thresholds standing between states of existence or awareness. In addition to composing chamber music and works combining acoustic instruments with electronics, he creates fixed media compositions, and collaborates with visual artists on multimedia works, including installation. His music has been performed throughout the U.S. and internationally by organizations such as Musicacoustica (Beijing, China), MediaMix (Monterrey, Mexico), the National Gallery of Art (Washington, D.C.), L.A. Freewaves (CA), ZeroOne New Media festival (CA), Gaudeamus (The Netherlands), International Computer Music Association (Huddersfield, UK), Society for Electro-Acoustic Music in the United States, Hua xia Ensemble (Alice Tully Hall at Lincoln Center), Zeppelin Festival of Sound Art (Barcelona, Spain), Festival Synthèse (Bourges, France), Interensemble’s Computer Arts Festival (Padova, Italy), Yo-Yo Ma (Barbican Centre, London), Society for New Music (New York), CyberArts, and Medi@terra’s Travelling Mikromuseum (Greece, Bulgaria, Germany, Slovenia). 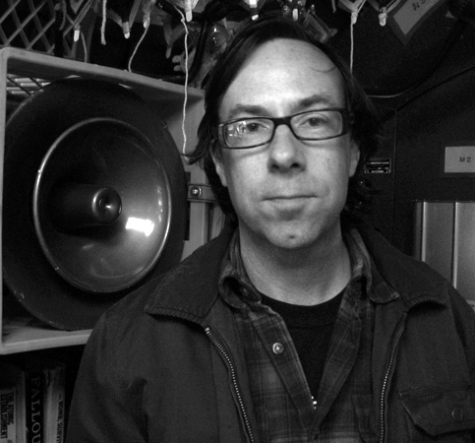 He was a Visiting Assistant Professor at the Center for Experimental Music and Intermedia (CEMI) at the University of North Texas (2004-5) and was composer-in-residence at the Institut de Musique Electroacoustique (Bourges, France; 1993, 2002). Additionally, he has taught composition, electroacoustic music, and sound art at the Vermont College of Fine Arts, Franklin Pierce College, Northeastern University, the School of the Museum of Fine Arts Boston, College of the Holy Cross, Clark University, and Brandeis University.